This information comes from deep in the bowels of the Scottish Cycling website, a resource that it full of great tidbits that are hard to find (like it’s parent site, British Cycling). At the original time of writing this post, the current Scottish Cycling Champions information was only up to date for 2009, although some of that info – that the National men’s road champion was Evan Oliphant, Kenta Gallagher was National Cyclocross champion, or that Dave Henderson was Cross Country series champion– I covered some of these championships on this blog with lots also on veloresults. The time trial records are interesting though, because many of them have stood for a long time. At one stage Obree held the Scottish record for the three staple distances of British time trialling- the 10, 25 and 50 miles. And George Berwick still does hold the 24 hour record, a mark that has stood since 1967. I pondered this question in a previous post. amended to include Jason MacIntyre’s 10 record. This entry was posted in Cycling history and tagged George Berwick, Graeme Obree, time trials on November 9, 2010 by Owen. Admonished from more than one quarter for my lack of knowledge about George Berwick, I have endeavoured to find out more and been sent useful links by various people. Below is George after completing a 1500km audax in Germany this August. He is 69, remember. •Can we have a picture of him at the beginning, I’m not convinced there’d be much difference. •George has been a legend for a long time. 1979 Paris-Brest-Paris: 62H36 117 BERWICK George GB M VE A.U.K. And a couple more pics by a German rider Johann Eilers who also did the ride. There is another account of what sounds like an epic ride on the West Lothian Clarion forum. Thanks Matthew of the Clarion for pointing me in the direction of this. This entry was posted in Riders and tagged George Berwick, touring on September 12, 2010 by Owen. Yesterday’s long-overdue post on George Berwick led me to a fruitless search for pictures of the man. Thankfully David Martin of Dundee Thistle (?) swung these pics my way. Above is George on the Snow Roads 300 ride I think. Worth reiterating that he is the Scottish 24 hour time trial record holder, I believe, with 448.70 miles. Apart from that, he’s clocked up over half a million miles and ridden more, and longer, place-to-place tours than an ordinary cyclists could contemplate. Why the nickname McNasty, I wonder? Please share any info you have on him. Thanks to David Martin for the pics. This entry was posted in Riders and tagged George Berwick, Photography, touring on September 10, 2010 by Owen. 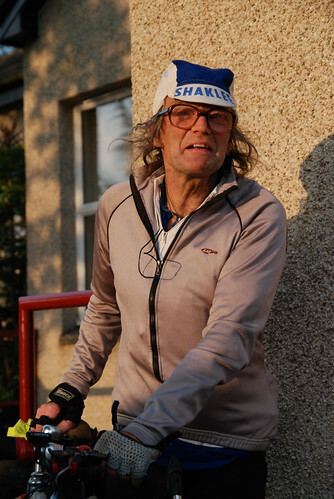 A post on the great George Berwick is long overdue on this blog, and it was suggested to me by a chap called Robert on flickr that I was short changing him a wee bit by omitting him from my Top 10 Scottish Cyclists of All Time. I’ll admit that list is biased towards road racers and was limited by my own limited knowledge of Scottish cycling history. So let’s look more at George Berwick. He seems to still hold the Scottish 24-hour time trial champion with 448.70 miles. That alone is worthy of celebration, on this of all blogs. I must find out more. He was a prolific racing cyclist and although now a touring cyclist deserves a bit of respect for his racing time. This is corroborated on the Glasgow Road Club website. He founded the Rough Stuff Fellowship in the 1950s, a group dedicated to tough off-road riding and touring, and is still a member today. These days he runs their ‘Vagabonds’ group in Fife. Robert comments: I think it would be a very tough cyclist indeed to accompany him on his travels, even now. A cyclist I know called Crispin is another keen Berwick fan, and nudged me in the direction of a few other links. George’s writings were featured in a the CTC Fife Wheels newsletter under the moniker of McNasty and one piece is reprinted here on a site called Total Cycling. The casual style is entertaining and belies the sheer number of miles he would batter out during his tours. If you want a word doc of this article, click here to download. Since this article George has done many, many more rides: he’s now ridden his 40th 24-hr race (in 2002) and the UK coastal circuit of 5100km at randonneur standard (2001). This vague collection of links shows I still have quite a bit to learn about the man. I love a good photo, and have been unable to find one of George but I’m sure he’s included in one of the RSF galleries. One key fact, though stands out. The RSF was founded in the 1950s, and Scots were riding off road long before anyone had heard of Marin County. George Berwick and Davie Bell (another who is under-represented on this blog) had a strong hand in the establishment of mountain biking long before Gary Fisher, Tom Ritchey and Keith Bontrager. This entry was posted in Riders and tagged George Berwick, mountain biking, Scotland, touring on September 9, 2010 by Owen. I thought it would be interesting to try to compile my Top 10 Scottish cyclists of all time, after being inspired by a podcast called the Two Johns, during an episode where they discussed a Top 10 list of American cyclists. My main criteria for this list are achievements on the international stage- be that Grand Tours, Olympic Games, World Championships or Commonwealth Games. This has been deemed by some as a limiting factor- favouring racing cyclists. But after all, isn’t racing a way to measure greatness? Anyway, some acknowledgment has been given to Scotland’s touring greats, but I doubt if I will please everyone. In addition to medals and results, other Scottish qualities are also valued, including: hard work, innovation, determination against bigger, stronger opponents, honesty, and other “underdoglike” traits such as riding well but not winning, or being a contender for a big victory. As ever, this type of list is never definitive, all about opinions, and really just a bit of fun. Please feel free to comment. Jason McIntyre’s achievements came in the face of adversity, and this often typifies Scottish sport. Tragically his career was cut short by a fatal road accident, which ended his life just as his career was belatedly taking off. 10th spot in my list could have gone to any number of riders, but I give it to Jason for the way he battled back from hardship in his personal life to become a National champion in his 30s, achieved so much from a relatively remote base in the highland, with little support, and looked to have much more to offer before his career was cut short. Mark Beaumont’s 2008 round the world record- 18,297 miles (29,446 km) in 194 days and 17 hours- is sometimes hotly debated as a cycling achievement, but for me it embodies the ultimate in the cycle touring tradition. Compare this to Ellen McArthur, who sailed round the world in record time- an achievement that necessitated overcoming logistical problems as well as supreme endurance. The world sailing circumnavigation record is a prized goal, but for some reason, the cycling equivalent was not. Beaumont’s record has taken this event to the next level, and I’d say Beaumont is the McArthur of the cycling world, and his feat should be recognised more prominently. Mark’s record was subsequently beaten several times, and in 2017 he is embarking on a new round the world record – in just 80 days. Craig Maclean raced, and won, at the top of the track scene for several years in the late 90s and early 00s. As such he will always be in Hoy’s shadow somewhat, but with Ross Edgar he was part of a formidable Scottish team sprint team at the 2006 Commonwealth Games. His other medals include UCI Gold and Olympic Silver- Craig was a very strong rider and a consistent performer for many years. 1st place: various individual and team sprints events, British National and World Cup series level. Read about Craig Maclean’s achievements within Chris Hoy’s autobiography. He is also part of the rise of British track cycling recounted the in Heroes, Villains and Velodromes book. Brian Smith won the 1991 British professional road race championship (his first pro season) and went on to complete the 1994 Giro d’Italia for Motorola, on a team that included Andy Hampsten and a young Lance Armstrong. Internationally he represented Scotland at the 1984, 1990 and 1998 Commonwealth Games and Britain at the 1996 Atlanta Games. He also won races in the USA for Plymouth Racing Team. He continues to have an influence in the Scottish cycling world through the Braveheart Cycling Fund, which supports young Scottish riders of all disciplines. 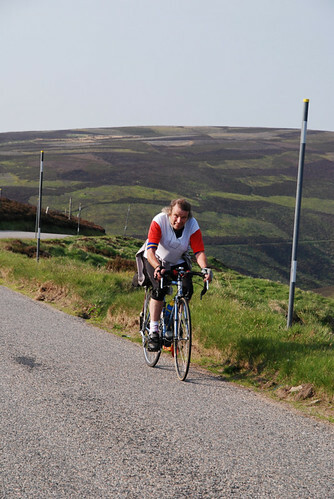 A worthy cause- I look forward to seeing the next Scot challenging for the Tour de France! 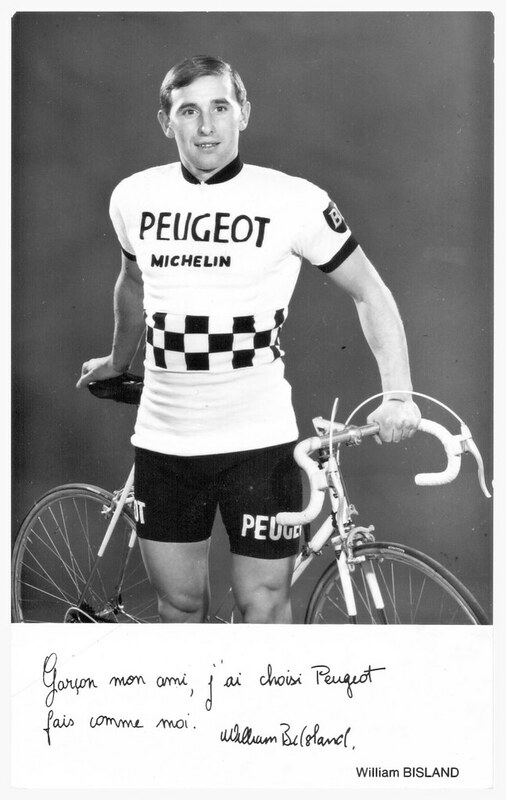 A stellar international amateur career ensued with stage victories in The Tour of Czechoslovakia, the Peace Race, the Tour de l’Avenir, the Scottish Milk Race and the Milk Race. He rode the 1968 Olympics, making it into the winning break until a puncture ended dreams of a medal. -He recounts his 14th place in the 1971 world championship road race in an interview here. He raced for three years as a pro with Peugeot, finishing 11th in Paris – Tours and 10th in the Tour of Lombardy. Making it on the continent in those days was not easy- as Ken Laidlaw, Robert Millar and Graeme Obree could attest to. After retiring, he set up a bike shop, which his son now runs. Bilsland was part of an early generation of British cyclist to make forays into Europe. The best account of it is William Fotheringham’s book, Roule Britannia. Laidlaw is somewhat of a forgotten man of Scottish cycling. He is not frequently mentioned, but finishing the world’s greatest bike race is a big achievement in itself. From a British point of view, this might sound like a ‘plucky loser’ tag, but it isn’t. Over the Channel, the French afford considerable respect to the last man- the Lanterne Rouge- because to finish the Tour is such a feat. Ken was interviewed in 2004 by a local newspaper in Savannah, Georgia. Re gave an account of the 1961 TdF, and what racing was like then. “In my tour, we averaged 139 miles a day – flat out”. In those days, the tour was 800 miles longer than it is today.” Without the nutrition, sports science and bike technology of today, it would have been significantly more difficult. Interview is reblogged here. First Scot to finish the Tour de France 1961. Most aggressive rider of the day during stage 16 1961- led the stage but fell back with 7km to go to finish 19th. 65th place overall- only 72 of the 132 riders finished. Ken Laidlaw is also mentioned in William Fotheringham’s book, Roule Britannia. David Millar’s career as a whole must be viewed in the context of the 2-year ban he received in 2004 for admitting the use of EPO. However his honesty and determination to spread an anti-doping message have set him apart from other banned riders, and he is now seen as an ambassador for clean cycling. For me, he took the punishment and then went on to make significant amends- not only being outspoken, but working with WADA, and helping to establish a stringently clean, independently-tested team in Slipstream. Although the suspension does tarnish his reputation, he won Grand Tour stages and races before and after it and these results still put him amongst the most successful Scottish cyclists of all time. He was the youngest ever holder of the yellow jersey in 2000. It is tempting to ‘relegate’ him a place or two for the doping, but I feel his anti-doping work have made up for it, and even the non-doped results are still stronger than any other Scottish road racer. There is a slight question over his Scottishness though- he was born in Malta, and has lived in Hong Kong, England and Spain. His parents are Scottish and he was selected (but did not compete) for Scotland in the 2002 Commonwealth Games. He is generally known as a Scot (as listed as Scottish on the Garmin-Slipstream site, and frequent media references). I would be very interested to know his personal feelings towards Scotland and whether he has a connection to the place. Tour of California 2008- 2nd place overall. The value of Graeme Obree‘s achievements is heightened by the fact that he undertook them as an amateur and in the face of great adversity. For me this embodies the Scottish underdog spirit. He broke the hour record and won world pursuit championships on a bike he designed and built himself, and in the face of obstruction from the UCI. He overcame personal problems to achieve these results and as such, is an inspiration to cyclists and people everywhere. After the records, he entered the pro cycling world at the height of the doping era. When he refused to take anything, he was unceremoniously dumped- a great shame that we did not get a chance to see more of him. Now in 2009, he has announced he will attempt the hour record again. As before, he has pushed the bounds of innovation and created his own bike, to meet the UCI regulations but to match his riding style. He has massive gear ratios, a custom hand position, but traditional frame and wheels. Good luck Graeme! World hour record: twice holder, in 1993 and 1994. Beat a nine-year record held by all-time great Francesco Moser. Beaten first by Chris Boardman, before regaining the record and then Miguel Indurain. Individual pursuit (4000m) world champion 1993 and 1995. 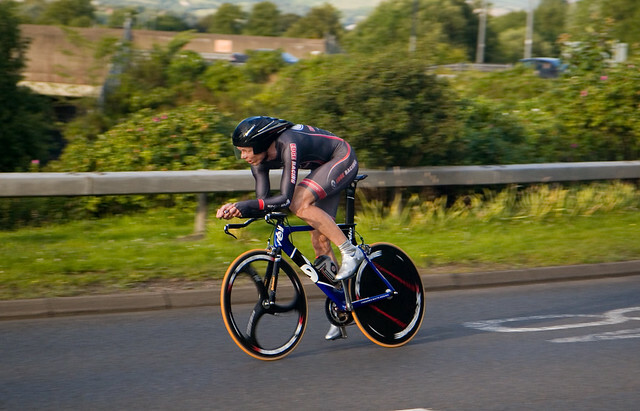 British 10mile Time Trial record holder- 18:57. 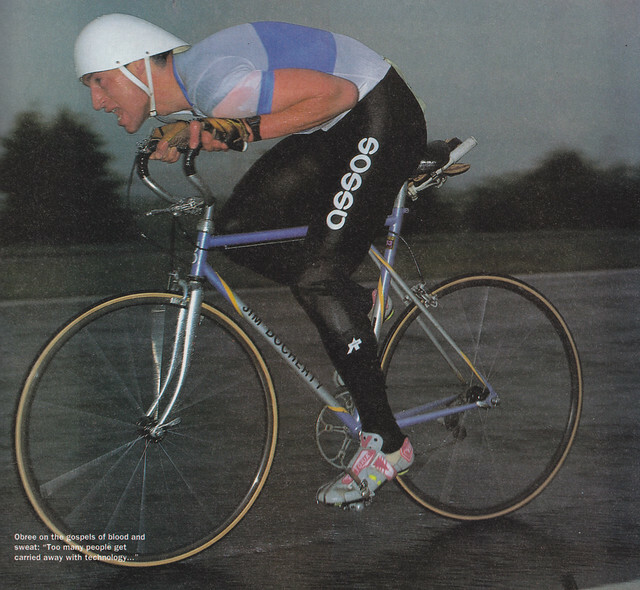 His training manual, The Obree Way, shows you specific advice and ways to think outside the box. His wife has also published a book, Mrs Flying Scotsman, recounting the highs and lows during their time together. Track champion Chris Hoy’s three gold medals on the track at Beijing 2008 speak for themselves. 3 golds at a games is was the best medal haul for any Brit, for over 100 years. This is before you mention his numerous world championship medals at the kilo, the team sprint and the keirin. And his valiant attempt at the outright kilo world record, where he came up 0.005 seconds short at altitude in La Paz in 2007. He has simply dominated short-track racing for almost the past decade. And he made it look so easy. Good luck for 2012 Sir Chris, we’ll be rooting for you. Chris Hoy’s autobiography charts his start in BMX racing through to his olympic success. Chris Hoy also now writes the Flying Fergus series of children’s books. Robert Millar’s King of the Mountains win, and his fourth overall place in the 1984 Tour de France puts him ahead of any other Scottish (or even British) cyclist, so for those two achievements, he is the #1. But he also has three Tour stage wins to his name, as well a Giro and a Vuelta stage win. He might have won the Vuelta a Espana, had Spanish riders (of different teams) not worked together against him to preventing him retaining his time advantage in the GC. Millar is known an enigmatic and elusive character. It is the stubborness of this quality (also displayed in several of Scotland’s other top cyclists) which afforded him the single-minded determination to succeed in the sometimes unwelcoming world of European cycling. His achievements and subsequent disappearance are recounted by Richard Moore in his book, In Search of Robert Millar. Evan Oliphant, currently a pro in the british peloton, is going well and can progress further. He was three-time Scottish road race champion riding for Plowman Craven although he has recently switched team to Scottish-based Endura Racing (June 2009). Ian Steel was a Glaswegian rider who won international recognition as winner of the Warsaw-Prague road race (Peace Race 1952? ), and he also won the Tour of Britain in 1951, including three stages, and the British National Road Race championship in 1962. Jackie Bone of the Glasgow Wheelers acquired national fame when he became the first British cyclist to attain an average speed of more than 20 mph in a 12-hour race. Jackie also rode as a member of the British team in the road race at the 1936 Berlin Olympics. George Berwick is another great in the touring/randonneur tradition, and although not a racer with competitive palmares to his name, he still holds numerous records for touring routes and annual mileage totals. Tommy Chambers– cycle touring great who would ride 18,000 miles a year, and was once credited in the Guinness Boook of Records. Davie Bell, pioneering off road cyclist and tourer/randonneur extreme, and for years had one of Scotland’s toughest one-day races held annually in his honour. David Bell’s The Highyway Man cycling column, was published as a book that is now difficult to find. His articles were originally published in the Ayrshire Post, and subsequently published as a book in the 1970s. Ross Edgar, a prolific track racer who also represented Scotland but was born and lives in England. Silver: Keirin 2008 Beijing Olympics, Team Sprint 2007 UCI world champs; Bronze Keirin 2007 UCI world champs; Gold 2006 Team Sprint Commonwealth Games. Caroline Alexander, born in Lancashire but represented Scotland. Good palmares, and the only mountain biker in and around this list- strange with the quality of Scotland’s trails. British National Mountain Bike Champion (XC) 6 times, 1995 European Cross Country Champion, 1998 British National Cyclo-cross Champion, 2nd UCI Mountain Bike World Cup Series 2 times (according to wikiP). This entry was posted in Cycling history, Pro cycling and tagged Billy Bilsland, Brian Smith, Chris Hoy, Craig Maclean, David Millar, George Berwick, Graeme Obree, Ian Steel, Jason McIntyre, Ken Laidlaw, Mark Beaumont, Robert Millar, Scotland on June 5, 2009 by Owen.